So sweet of Claire! 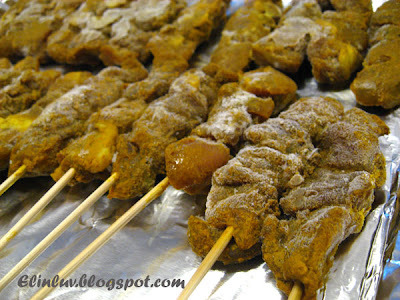 This is the first time I see duck meat satay. I've never had duck satay! Looks really tasty! 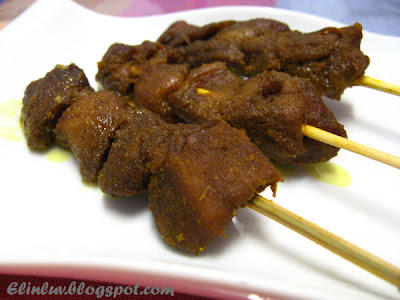 I have never tried duck satay! They look mouthwatering and fingerlickingly GOOOOOOD! Hahaha... Claire complaining she's very 'cham'! Sorry, Claire! I think I'm with Elin. 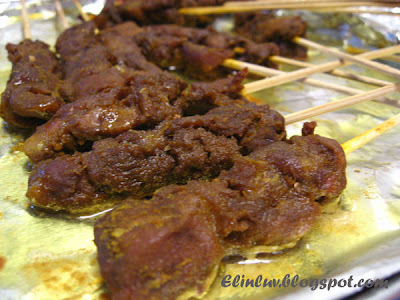 Just to remind her that Elin wants more... haha... Btw, where did Claire get those satay meat from? Never heard of this before. Wonder from where did Claire get them. 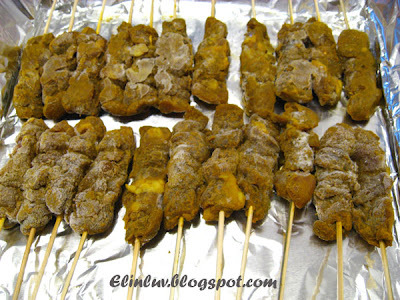 Drick...yup make them into kebabs...delicious!!! 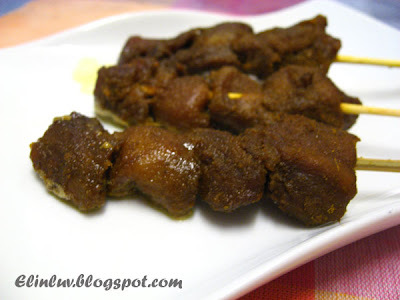 oh, duck satay!!!! such a flavorful dish! good creation!